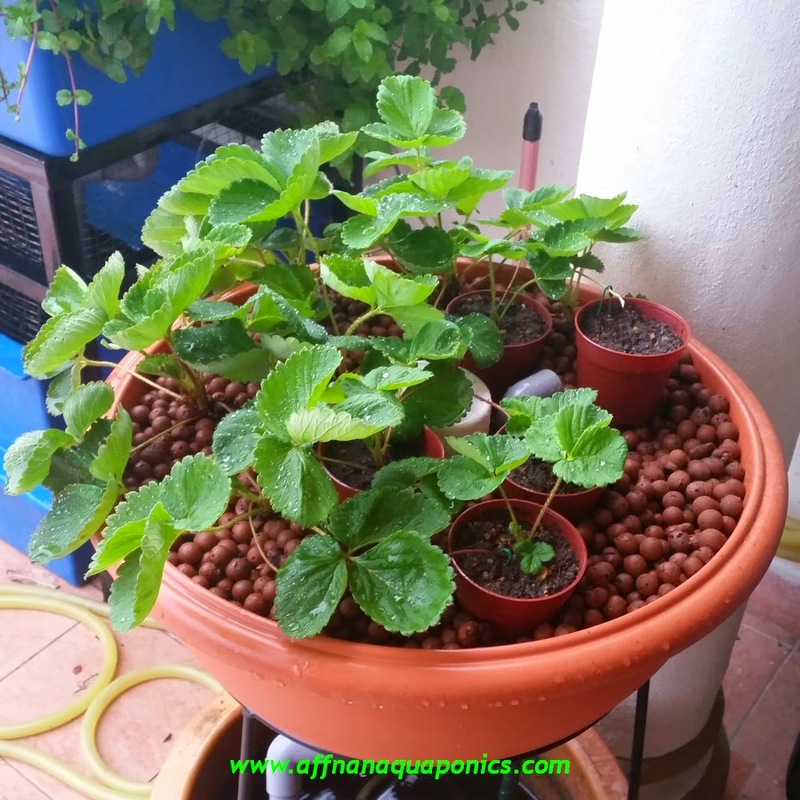 After few week decide to redo my Strawberry plants into bigger growbed before it started to set in. Some plants are already 2 months old and some only couple of weeks in the lowland. 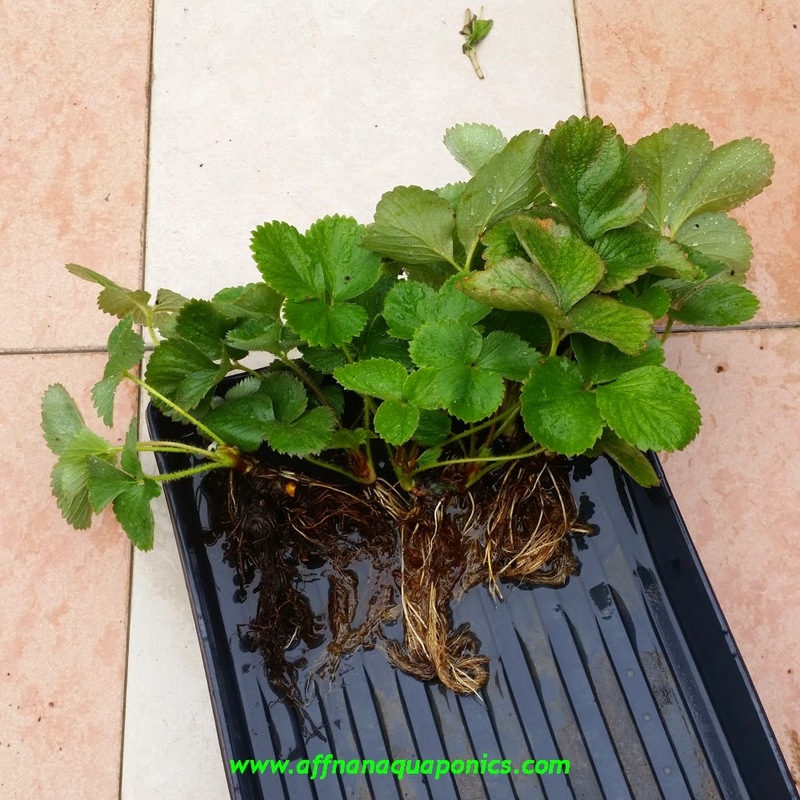 Weather looks good for transplanting, re-potting or just rearrange those plants. 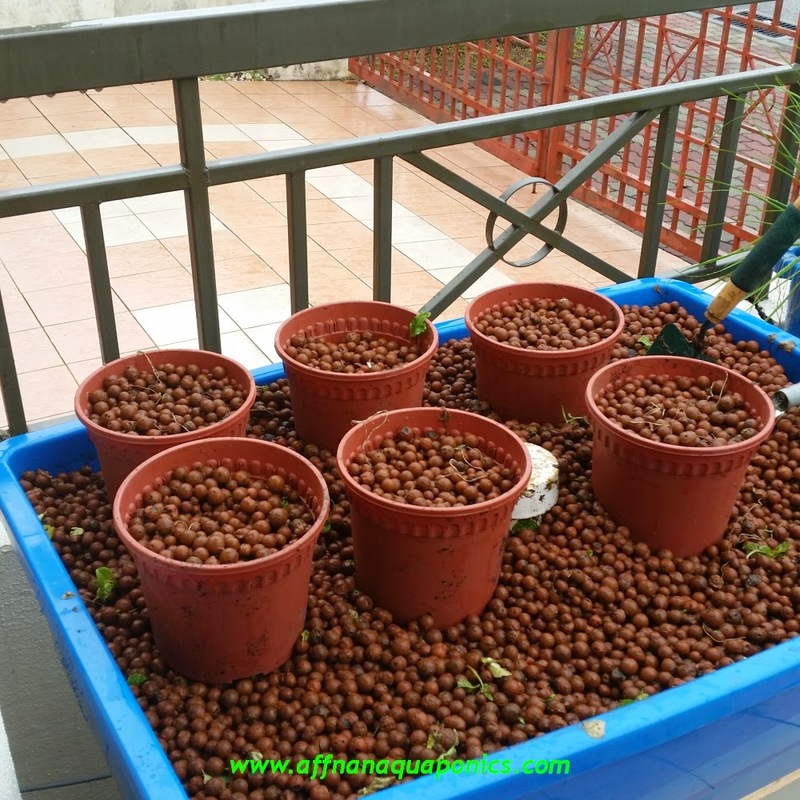 Plants that we bought from Cameron Highland usually are old expired plants, they are at the end of their useful life in term of fruiting. Who in their right mind in those places want to sell us their prime plants. All is not lost, if you bought one of these plants please don't expect them to bear fruit. 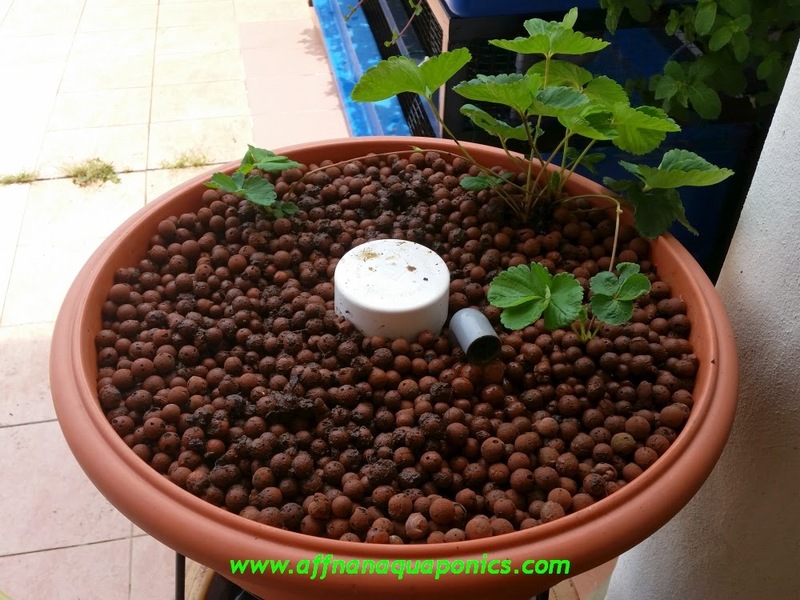 Instead use them to produce runners so that you can start with fresh plants. Longer in this growbed they will set in and will be more difficult and to do, plants need to recover if they grow bigger then it will takes longer time to recover. If it's too small they will not make it. There are few runners and those that is has established I move them to pot. 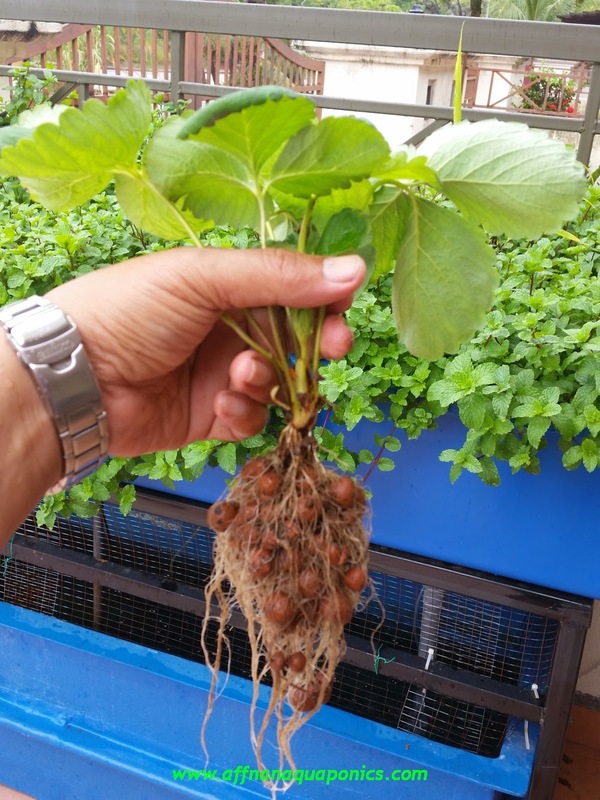 The runner below is already one month old and has good root formation in LECA. 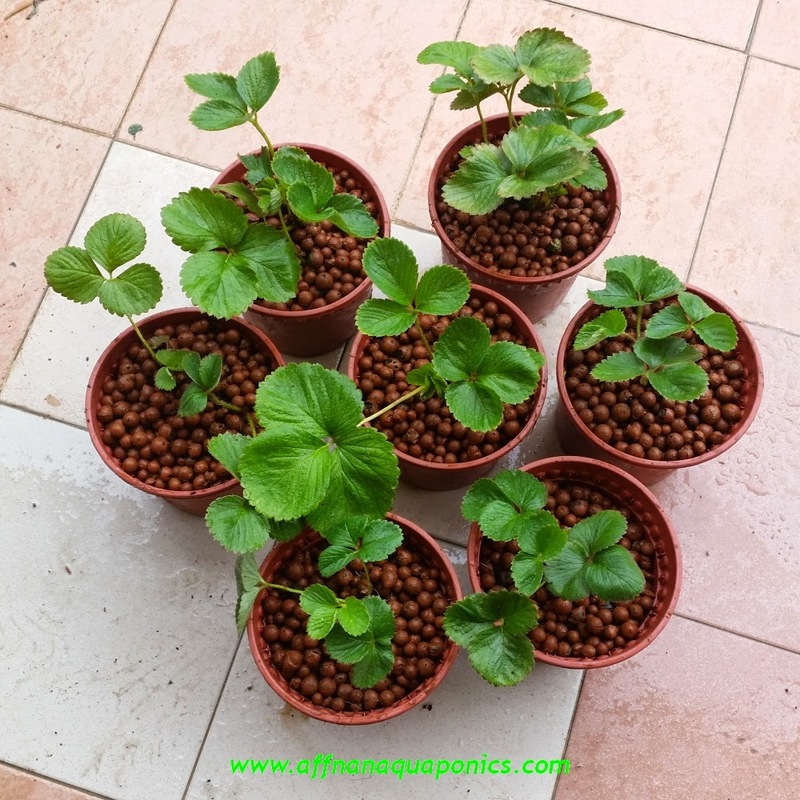 Prepared few pots with seasoned LECA from one of the growbed for planting the Strawberry. Plant removed from soil and washed the root to get rid of all traces of soil, this way I could see if there are any bad or rotten parts that need to be removed. Decide to redo most of it and got twelve pot altogether, only seven shown below. 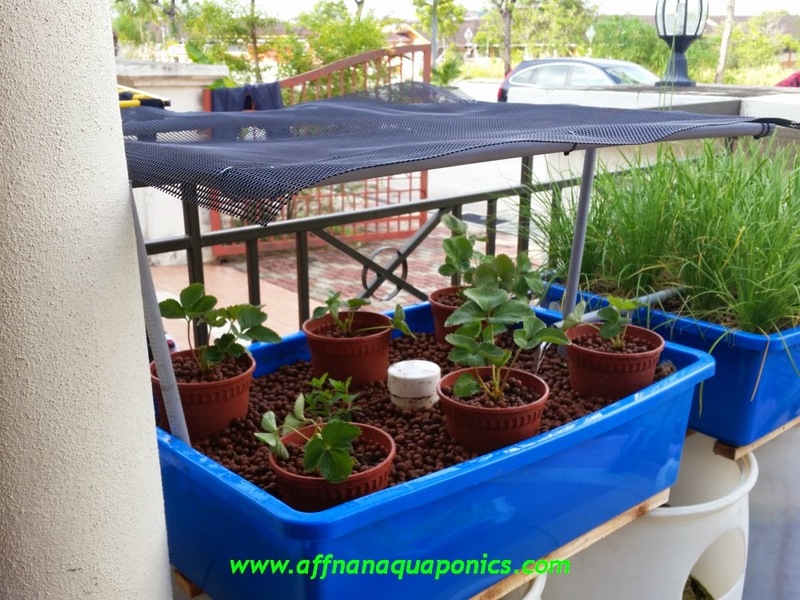 Each growbed takes six pot to ensure they have ample space to produce runners. 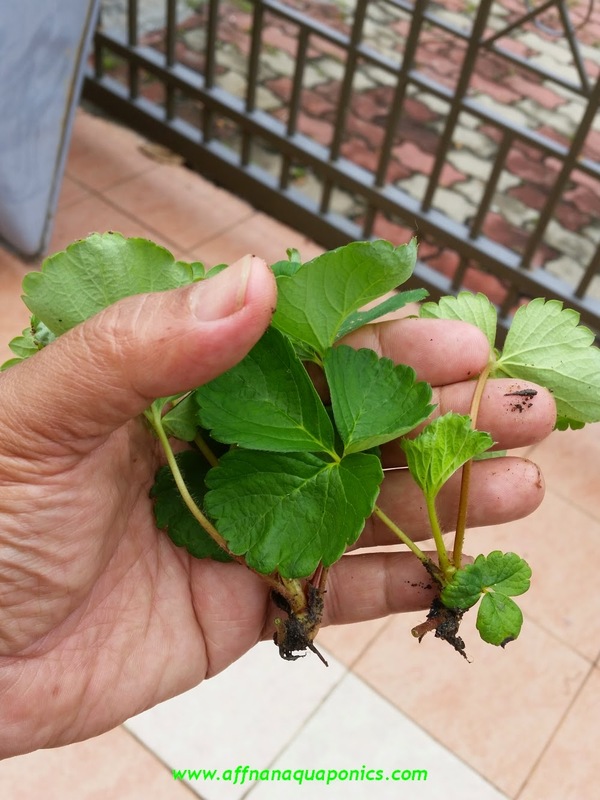 This first year, I will not allow these plant to fruit, it is more for producing runners to replace all the original plants from Cameron Highland. 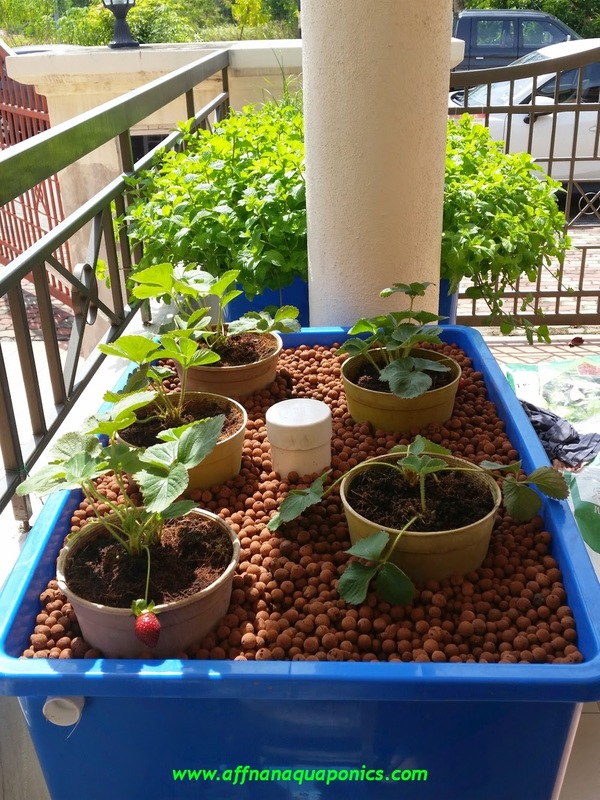 Made a shade to ensure they are not damaged by midday sun, this next few weeks is critical to monitor so that they survive the transplanting shock. One or two runners did't make it and need to be removed, their root has not formed. 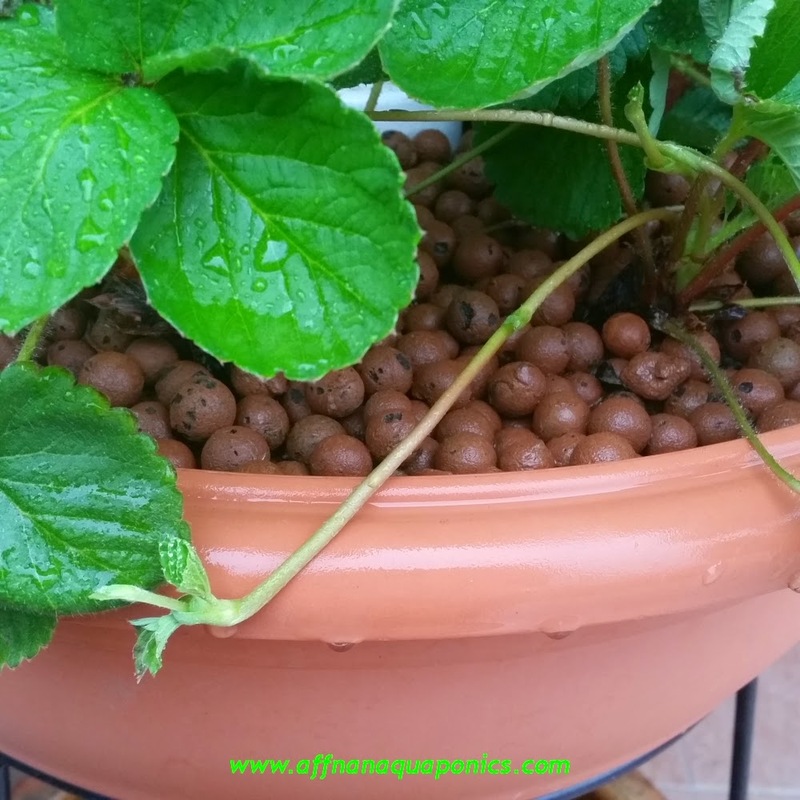 This above I use soil pot but it's not as good as the one I place directly on LECA. 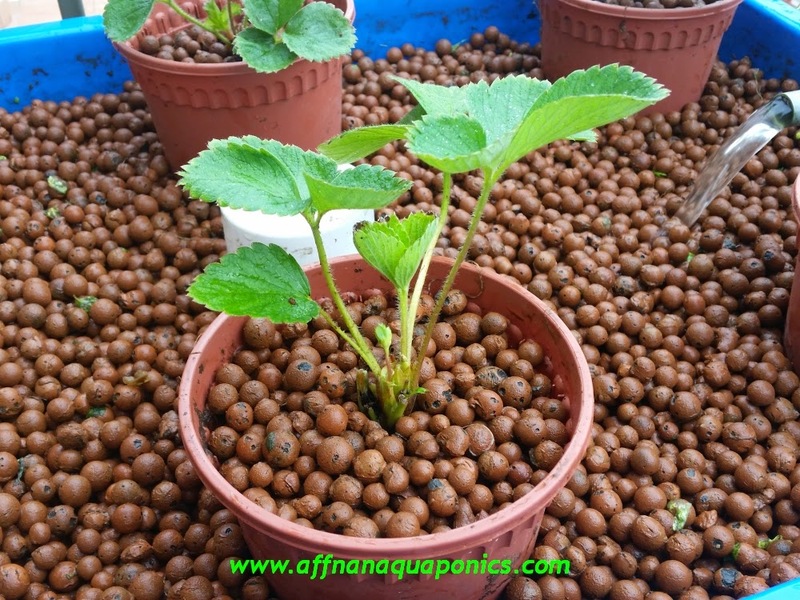 At this stage I use individual pot so that it is easier to manage if need to move it to another location and having it within the Aquaponics growbed will ensure it has water and nutrient to grow. This style we will not require to constantly monitor water since it is readily available. I will try both way, and some plants will be in soil to compare. 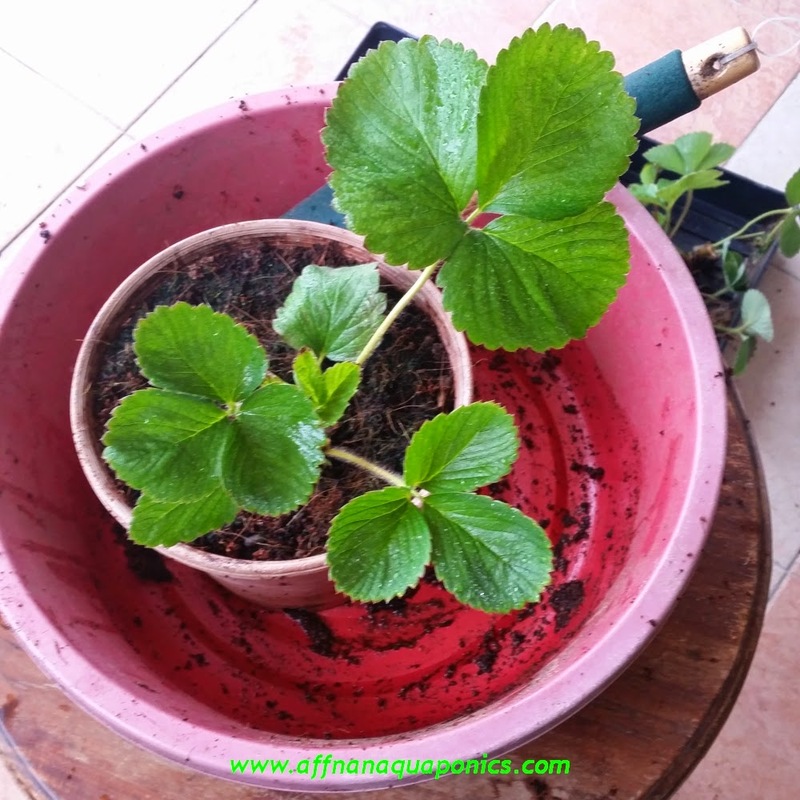 Strawberry in the lowland Equator is something unheard of, so it is a trial and error. I hope it can be done. Few people has done this but all reported disappointing result. These are all that is left in this Ornamental set, don't want to transplant remaining plants. Its runners are still not rooting and if I disturb them, more than likely it will die. So leave it as it is and let it grow in this set. I'll add more plants here once I have more runner produce. Testimonial - Thank You For Mentioning My Name. Stepping Up Dengue Fight ?